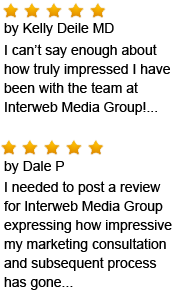 The Interweb team and its partners have over 45,000 satisfied customers including Disney, Toyota, SeaWorld, GE, Xerox, Gillette and more! In as little as 2 business days turn around! Guaranteed! - If you don't like your original concepts, contact your acct. mgr. before any revisions for an immediate refund, minus a $159 administration fee. Otherwise, our team will work with you on your revisions until you are satisfied with the alteration of your logo. Add Corporate ID to any package for only $295!